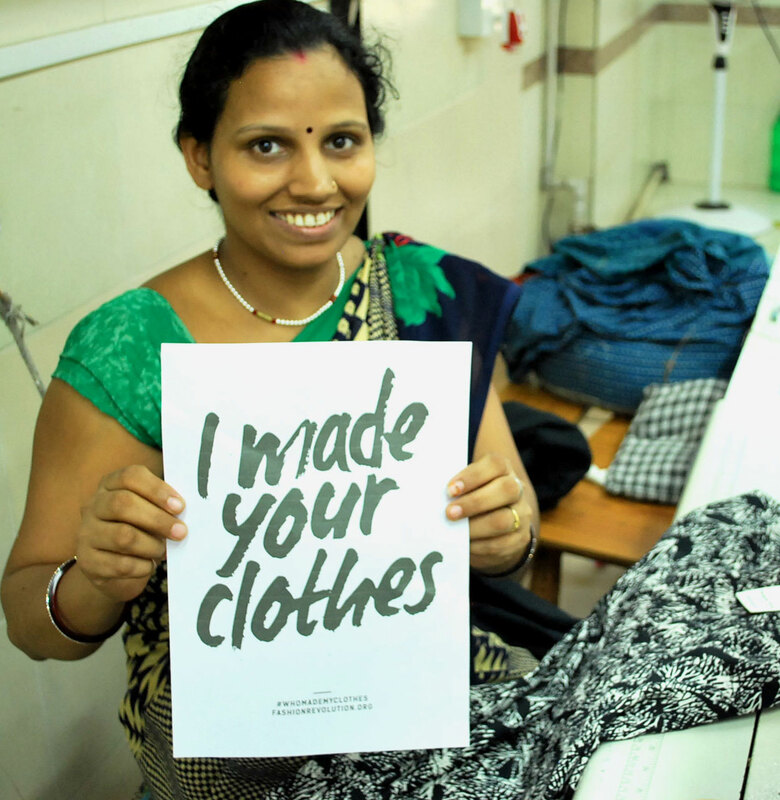 Fashion Revolution Week, the annual #whomademyclothes campaign is held for the 5th time this year, continuously campaigning for changes in our fashion industry towards more transparency and dignity for the people behind our clothes. 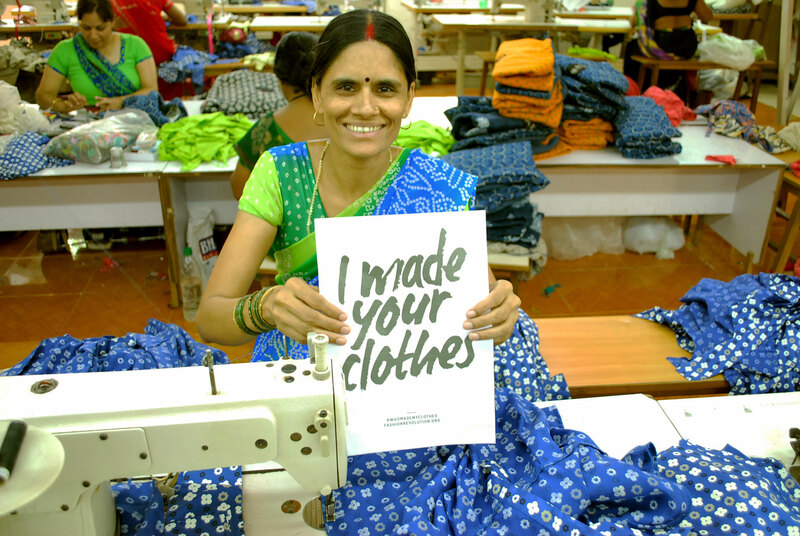 As a pioneer in sustainable and fair fashion, People Tree will join many others around the world to challenge global fashion brands to demonstrate commitment and help work towards a fairer industry. We promote this campaign because we believe that every person along the supply chain, from farmers to factory workers, deserve to be celebrated. Fashion Revolution Week also is a time to celebrate companies that are on a journey to create a more ethical future for fashion. People Tree has been campaigning for over 26 years to demonstrate that an alternative to fast fashion is possible. We have worked with 34 Fair Trade producer businesses in 13 countries, actively building up partnerships based on mutual respect and supporting 4,500 artisans and farmers. So, in celebration of Fashion Revolution Week and ethical fashion, we want to promote the topic and give you a treat as a thank you for supporting our mission: with discounts on the sale collection. As a pioneer in ethical and fair fashion, our core values include equality, dignity and respect for the environment and all people we work with. These ethics represent an essential part of our DNA and are considered every time we put a promotion on. So let us show you how sales are not only vital for an ethical clothing brand but align with our philosophy too. Whilst we promote a slow and conscious way of shopping, we understand that throughout the season your wardrobe has different needs, therefore we like to offer seasonal promotions so you can shop our pieces and support our mission, whatever your budget may be. As a Fairtrade brand, it is very important to us that the discounts you receive do not affect our producer’s wage and their livelihood. Instead these sales give us a vital boost in revenue which allows us to invest further in the development of the people who make your clothes. People Tree works with Fair Trade partners to design unique beautiful pieces crafted with love. Produced under safe, healthy and fair working conditions. In collaboration with companies who are committed to doing business in a way that is good for people and the planet. Our goal is to empower our Fair Trade partners to grow their businesses and help them strengthen their communities to create positive long term changes. Therefore we follow Fair Trade standards and promote transparency throughout our whole supply chain. Unfortunately most fashion brands do not pay factories for products until they have been delivered – however we do business differently. We make a long-term commitment to our partners, by placing orders months in advance so they have time to craft our collection. As a Fair Trade fashion business, we pre-fund our producer partners where needed. By making advance payments, we ensure that the people making your beautiful clothes can make it through the year. We financially support our partners, providing them with working capital and technical assistance to build their capacity. We make an investment in our artisans and producers but we cannot do it without you. Fairtrade, sustainable fashion can be an expensive business but the boost in sales from events like Fashion Revolution helps us generate extra revenue, which we reinvest by placing new orders to keep the business going. Thus doing sales enables us to continue our mission and support artisans around the world. We believe that together we can spread our message and make the world a better place. Shopping the People Tree sale is like making an investment in a brighter future. 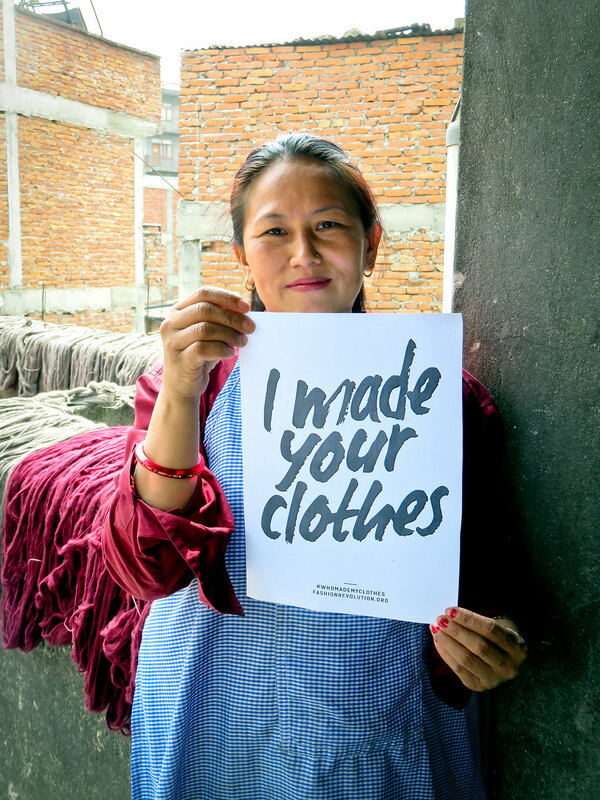 The beautiful clothes made by people around the globe contribute to beautiful changes in our world.